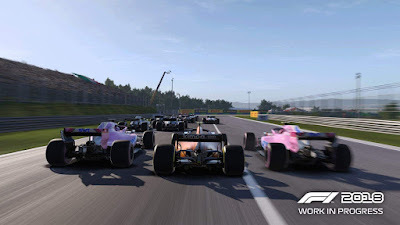 We were invited to a preview event for the upcoming F1 2018 game, so what's new and what's been improved upon? Last week, we were invited to a location in central London to check out this year's F1 2018 game that is being published by Koch Media. The session started off with Game Director Lee Mather giving us a rundown of some of the new features and improvements that we can expect. 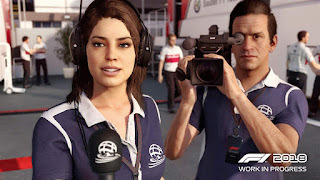 My favourite feature being introduced into F1 2018 is how you not only need to be a star on the track, but off it as well with press interviews. These are pressure timed, so not only are you on the spot, but you need to make a rather quick decision on how you answer the questions being presented. This goes a step further by incorporating your answers into how you are reflected towards other drivers, teams and even relationships within your own departments. It adds not only another aspect to the sport that wasn't shown before, but brings it ever so closer to what we see on live TV. In terms of going hands-on with the game, we got some time with two different set ups both making use of the PlayStation 4 PRO. The main difference being that one was using standard controls and the other a special steering wheel. When it comes to gameplay using the controller, mechanics felt right as I try to make every turn without somehow going straight into the barricade. I'll be honest and say that I'm not the biggest F1 fan, however I can appreciate how much fine tuning when into it in order to provide a solid racing experience. closest we could get to being actual drivers. It was noted that real world F1 data had been used to take the handling to the next level and it definitely showed. We also had the chance to try out the game using one of the most insane set ups I've ever seen. This is called the Playseat and it is fully adjustable for players of all sizes, you can easily control the incline of the seat, the distance to the pedals and steering wheel as well as the angle of the screen and much more. I was initially under the false pretence that due to how amazing the game looked, it was making use out of a high end PC, when in fact it was simply a PlayStation 4 PRO running at the highest possible graphical settings. So when you combine tight controls with a controller or steering wheel, along with amazing visuals, it becomes incredibly immersive. 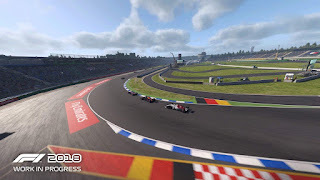 F1 2018 looks to be a real game changer for the series and while I don't have much experience with the previous titles, I'm really glad that this iteration is the one to point my interest towards it. There is so much more happening under the hood, but this is something we will hopefully dive further into once the game is released. F1 2018 is scheduled for release on August 24th for PlayStation 4, Xbox One and Windows PC!